Viber is one of the most popular messengers for free calls, texting and sharing photos. However, despite all the application’s benefits you may face with the need to uninstall Viber from iPhone. There are 2 ways to uninstall the program from your mobile: delete or deactivate your app’s account. In case you delete an icon from your iPhone’s desktop, as you usually do to delete any application, you will remove the app only. Your account will be still working without any changes. Your program’s address book will be moved away in 45 days from the server, while your phone number will be excluded from the app’s service in a year. 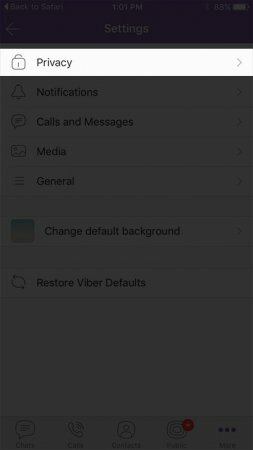 If you want to remove an application and all its connected services from your mobile, you will need to deactivate account. In this case you will lose your data, messages, history of calls, groups and downloaded stickers. The deactivation of your account from one device will lead to similar changes on all your other devices. If you want to save some information that is stored by the program, an app offers a special option to restore all the data to your cellphone. 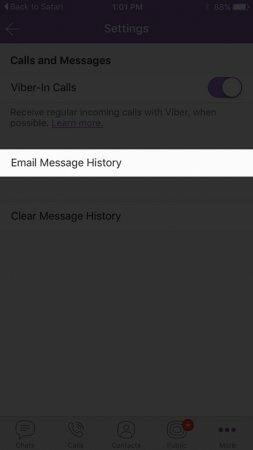 How to save Viber message history to your iPhone before uninstalling the app? Launch the app and chose More--Settings. 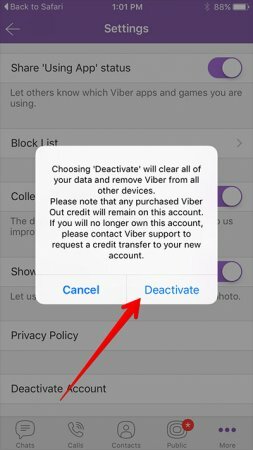 How to deactivate Viber in your iPhone? Scroll down and find a function, called Deactivate account. A pop-up window with a possibility to choose either Deactivate or Cancel will appear on your screen. These two simple steps will deactivate your account from the app. 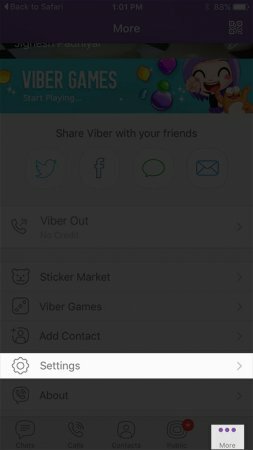 After that you will be moved to the Viber’s home screen. 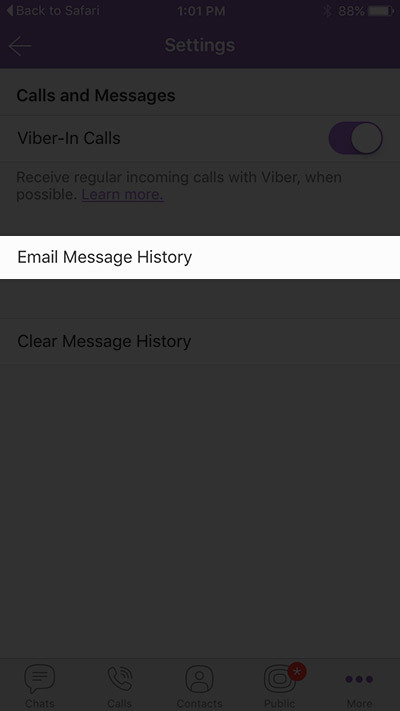 Now, your contacts won't be able to see you as Viber user. The program will also unlink your Facebook, Twitter and other accounts of social networks. 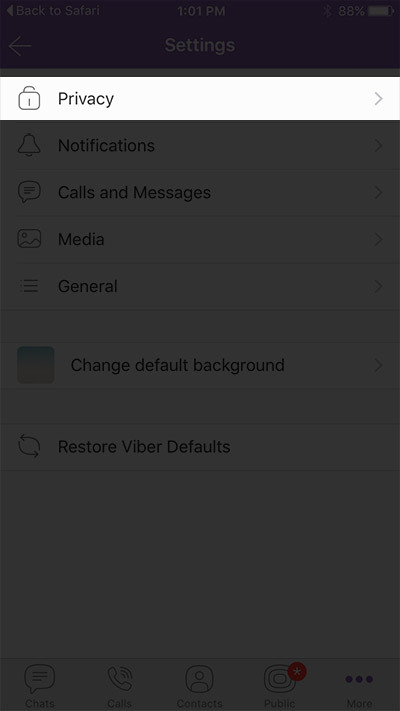 You will need no more than a couple of minutes to uninstall Viber from iPhone completely.